Darkroom Door Sentiment Stamps are mounted on cling foam. 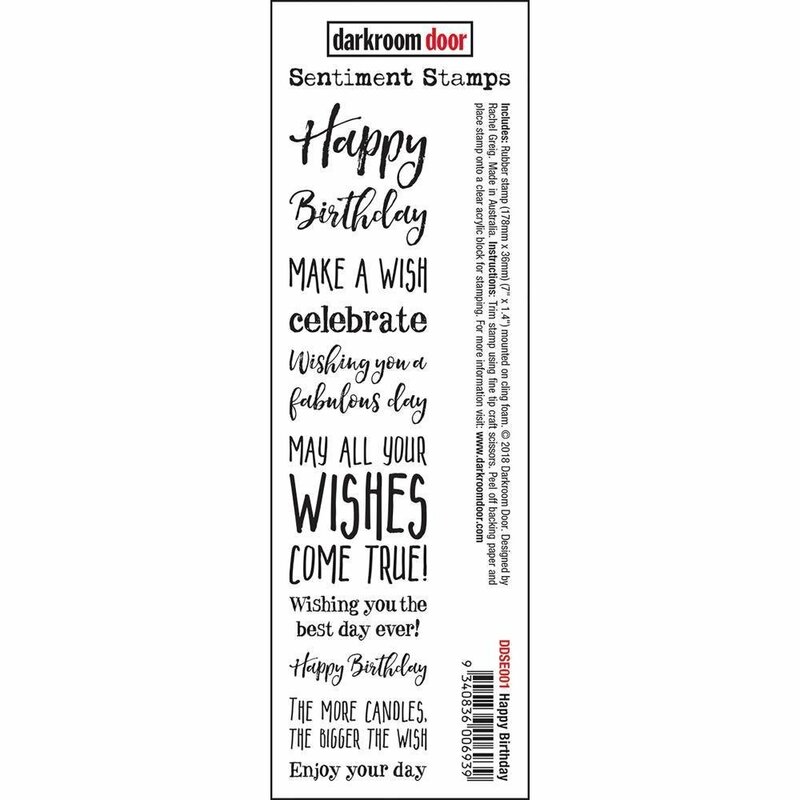 Use as an entire strip of sentiments on your cards and projects, or trim each sentiment into individual stamps. Suitable for card making, art journals, mixed media and more! Darkroom Door rubber stamps are known for their durability, deep etching and high image detail. 7" x 1.4"